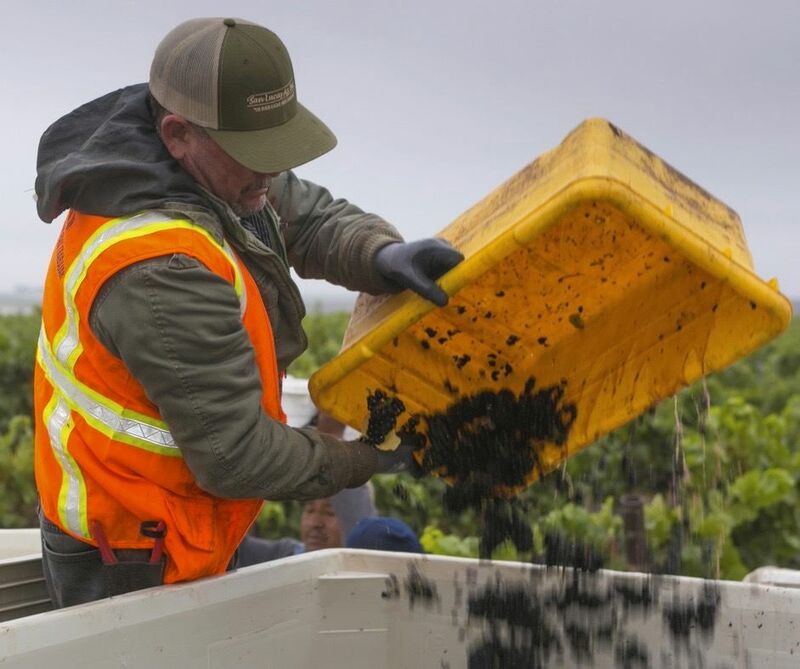 California North Coast 2016 Vintage Nearly 491,000 tons were crushed in Sonoma, Napa, Mendocino and Lake counties in 2016, up 21.9 percent from 2015, but down nearly 4 percent from the fiveyear average according to the North Bay Business Journal analysis. It was the fourth-largest wine grape harvest for the region in more than a decade, behind 2012-2014. Demand for grapes has outstripped the harvest of the past two years so grape prices are high. The average price for all wine grape varieties in Sonoma county increased by 6.2 percent last year to a new high of $2,561 a ton, 10 percent higher than the county’s five-year average. Pinot Noir tonnage increased by one-third in 2016 compared to 2015 and tied with the 58,000 tons of 2006 as the fourth-largest crop for the variety in the North Coast. Sonoma Pinot Noir pricing rose to 3.4 percent to $3,657 a ton, up 10.8 percent from the five-year average. Tonnage for Pinot Noir in Sonoma County increased 31.5 percent from 2015 to 40,400 but was almost 11 percent below average. Mendocino had the largest crop of Pinot Noir at 9,420 tons since 2006. Wine Freedom in America It is a reality that only 14 states and the District of Columbia allow consumers to receive shipments of wine from out-of-state wine stores, internet retailers, wine-of-the-month clubs and wine auction houses. The consequence of this restriction of interstate trade is that wine consumers in 36 states are barred from receiving any direct wine shipments of imported wines since in the US only wine retailers sell imported wines. Only a very small percentage of all wines available in the US are available in any given state. The organization, www.WineFreedom.org, provides consumers with information on which states are considering legislation to change this discriminatory policy and tools for supporting consumer efforts to bring wine freedom to their state. Bills are currently in legislation in Texas and New York to allow direct shipment of wine from out-of-state retailers. Suits have been filed in Michigan, Illinois and Missouri concerning their discriminatory treatment of out-of-state retailers. 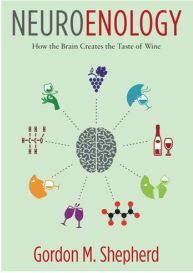 Neuroenology: How the Brain Creates the Taste of Wine This book by Yale neuroscientist Gordon Sheperd, is based on the theory that savoring the flavor of wine activates more grey matter than solving a complex math problem. Shepard thinks that the flavor of wine “engages more of our brain than any other human behavior.” The act of sipping wine leads to a complex interplay of air and liquid controlled by coordinated movements of the tongue, jaw, diaphragm and throat. In the mouth, molecules in wine stimulate thousands of taste and odor receptors, sending a flavor signal to the brain that triggers massive cognitive computation involving pattern recognition, memory, value judgment, emotion and pleasure. Wine is tasted in the brain, not the mouth. Lompoc Wine History Kate Griffith of Flying Goat Cellars has written an article, “Lompoc Wine History: From Mission Grape to Spectator’s Top Eight,” in Edible Santa Barbara, Spring 2017 issue. This is an abbreviated version of a longer story forthcoming elsewhere. The Santa Barbara Vintners Spring Weekend Grand Tasting will be Saturday, April 22, from 1:00 p.m. to 4.00 p.m. at River View Park in Buellton. Information and tickets at www.sbvintnersweekend.com. Flying Goat Cellars will have an Open House on Sunday, April 23, 11:00 a.m. to 4:00 p.m. at Flying Goat Tasting Room, 1520 E. Chestnut Court in Lompoc. Laughlin Loop This seven-mile route of eight Yamhill-Carlton wineries will be the site of “Discover Laughlin Loop,” April 22-23. Drive yourself or take the shuttle and taste exceptional wines from the region. Participating wineries include Beacon Hill, Fairsing Vineyard, Gran Moraine, Lenne Estate, Roots Wine Company, Saffron Fields Vineyard, Solena Estate and WillaKenzie Estate. Portland’s most talked-about food carts will be present as well. $75 per person includes wine tasting, shuttle service, $10 food cart voucher and a 6-bottle tote bag. Each bottle of wine purchased at a winery will enter you for a chance to win a Laughlin Loop Wine Collection. Purchase tickets at www.eventbrite.com. Taste the Place On Saturday, April 29, from 11:00 a.m. to 3:30 p.m., 35 of the Yamhill-Carlton AVA’s best wineries will host a tasting. The event will be held at Anne Amie Vineyards in Carlton. Tickets are $40 and include tasting from all participating wineries and six local restaurants. Tickets on sale at www.yamhillcarlton.org. Taste Dundee The 3rd Annual Taste Dundee will be held Saturday May 6 from 11:00 a.m. to 4:00 p.m. at Billick Park in Dundee, Oregon. 25 Dundee wineries will be pouring along with local eats and music. Visit www.tastedundeeoregon.com for information and tickets. Vinnibag Inflatable Travel Bag This travel aid allows you to safely carry liquids, fine collectible items and fragile valuables including wine. The reusable Vinnibag can be put in carry-on’s or checked luggage and is TSA friendly. It will withstand air travel and high altitudes. It is easy to use: stick items in the bag, inflate with a few breaths of air, snap the bag closed, pack it in a travel bag and deflate when get home. Travelers can likely fit up to three inflated Vinnibags in their suitcase. Vinnibag retails for $28 each and is sold at Bed, Bath & Beyond, Brookstone and Amazon. For more information, visit www.vinnibag.com. 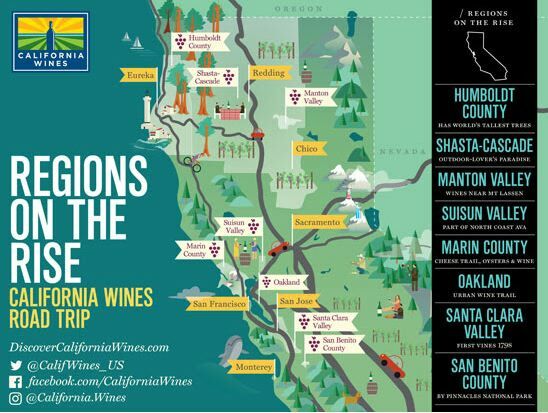 Explore California’s Wine Regions on the Rise The Wine Institute’s Road Trip Series highlights different wine regions each month. For March, the series offered tips for traveling to California’s offthe- beaten-path regions including Humboldt County, Marin County and Santa Clara Valley. Visit www.discovercaliforniawines.com for information on California’s 138 American Viticultural Areas and 4,600 wineries. Wines & Vines Oak Conference The 2017 Wines & Vines Oak Conference will include a session on barrel aging Pinot Noir. The session panel will include winemakers Bob Cabral, Ken Bernards, Luisa Ponzi and Scott Shapely who will offer insights into how winemakers match oak to their Pinot Noirs as well as provide detailed glimpses into the production of Pinot Noir from nearly all of the major wine regions in the western US and Willamette Valley of Oregon. Registration includes all the general sessions plus one of three technical tastings. The conference takes place April 26 at the Event Center at the Sonoma County Fairgrounds in Santa Rosa, California. For information and to register, visit www.wvoak.com.